As a candle burns, it consumes itself and reduces in size until eventually it has burned the entirety of its wick and snuffs out. This mechanic of the candle is useful in performing spells to remove ills from your life. Wee all have our share of bad habits we could do without. This candle magic spell will include a representation of your bad habit, as well as three candles tuned to the elimination of said habit. The first step in this bad habit binding spell is to take the candles and mark them with the banishing rune Nauthiz, the binding rune Eihwaz, and the healing rune Hagalaz. Each candle receives the Eihwaz rune, and one additional. The green candle shall receive the Hagalaz rune, black and white the Naudhaz rune of banishing. Once engraved, you shall also carve a word representing your bad habit into the candle. The next step is to write the name of your bad habit on a piece of paper, and burn it down to ash, which will be mixed with the oil mixture. The oil mixture shall be comprised of equal parts Vervain, Sage, and Angelica oils. Once this mixture is created, you shall anoint each of the candles, rubbing the oil onto the candle from the base and tip towards the center. You shall then place each candle together, with the green candle between the black and white candles. At this point you ignite the candles, saying a prayer to whatever deity or spirit you work with to assist you with this healing. As the candles burn, meditate on them, see yourself no longer taking part in your vice. If it is smoking, see yourself throwing a pack in the garbage, if it is gossip, see yourself remaining silent and walking away from the source of gossip. There are many habits that you can use this to bind, it is merely a bit of creativity to avoid. If you find yourself having a chemical dependency, it may be necessary not just to repeat this each night to reinforce the banishment of your vice. Additionally, chemical dependency’s are a difficult vice to break, and you would be well served to seek additional professional help in getting rid of them. Find yourself a support group, anonymous groups are incredibly useful in this regard, and see yourself to it regularly. 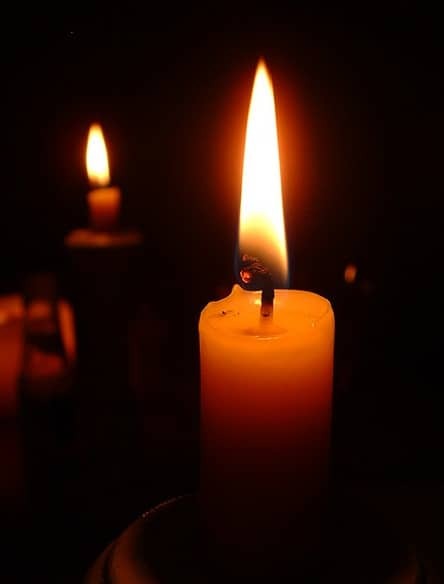 Once this candle magick spell has been completed, take the remaining wax, and bury it in the earth, giving over your vice to it, and allowing the bound energies to disperse into it.